Rural areas keep losing demographic weight around the “civilized world”. Here is a vision of the current condition in three French-speaking countries, with a special attention to urban planning issues. The division proposed by this map produced by ARE (the Swiss Federal Office for Territorial Development) is thought- provoking: the national territory is divided in cities and metro areas, tourism areas in the Alps, rural areas around cities (taking into account integration in public transit networks) and peripheral rural areas (in which population is relevant). Michae Hasmeyer is an achitect and programmer who has taken an experimental path concerning the prouction of complex architectural forms through additive manufacturing (3d printing) by using materials somehow close to traditional ones, mixing sand and resins, with resolutions under the 1 mm limit. No pdf to download in this biblio issue, but a website which shows the process and the production. The formal issue rises: here there is no portrayal of natural shapes or human bodies, but rather of a series of geometrical combinations of platonic solids, resulting in products which remind me of H.R. Giger. The Géneve- Annemasse border, south of Geneva. Well, here what changes at the border is not language (as french is spoken on both sides) but the fact that you are entering an inland island with its own currency. 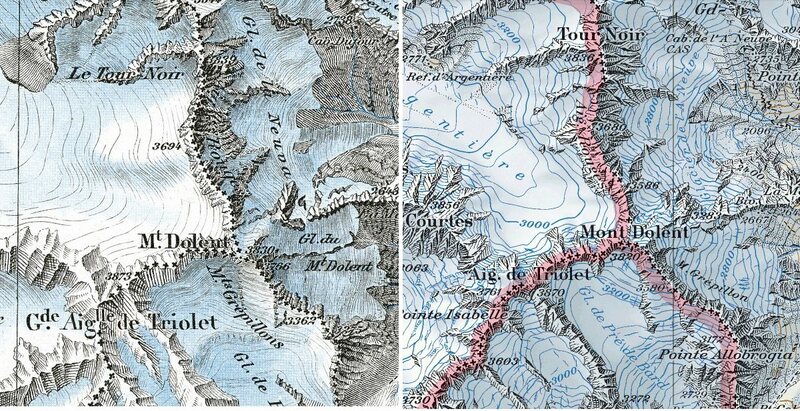 This is Switzerland, and French, mighty as they could seem in other situations, are here the ones to commute to the neighboring country. Is Switzerland the future or the past of Europe? hard to say, but it is quite related to the present and future of a big bunch of euros… Thank god, a river makes for a natural border. – Compensation of benefits and disadvantages. 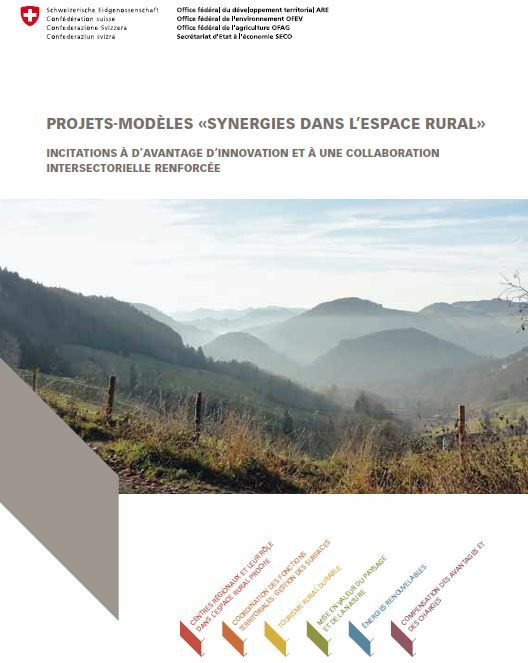 Many interesting subjects are in the projects, as the coordination between voluntary farmland rearrangement and landscape, the improvement in the landscape integration of buildings, energy development throught biogas and sustainable wood harvesting, and the coordination between local authorities to avoid a competition for investments that in the end can be harmful for the land. 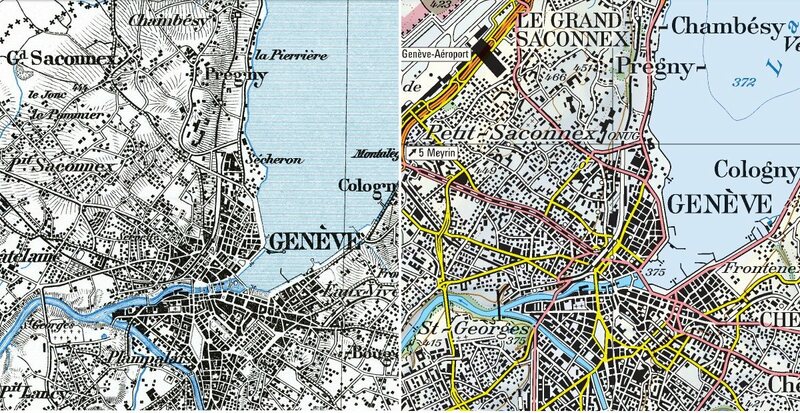 The Swiss national mapping office celebrates its 175 aniversary proposing a time travel with its maps from 1938 to our days, on an interactive map of the whole country. A treat for those loving maps. Non permanent homes, also known as “cold beds” (as they have no users but for some weeks around the year) is often a concern for planners in tourism receiving countries. Planning theorists agree on the costs to maintain urban tissues seldom used most of the time, and on the environmental costs of such land uses. On municipalities in which 20% is surpassed, only new permanent dwellings or some kind of guest houses could be built. This is a burning issue: the 50,6% that voted yes reside mainly in the northern cities, but the measure is relevant in the alpine south. The bylaw does not make 20% mandatory for the municipalities that are over that proportion, but rather makes their existing number the top. This could create a specific real estate market for existing secondary homes.